Without a doubt, the Great Barrier Reef, which runs off the coast of Queensland, is home to some of the most magnificent marine life you’ll ever see. With countless ways to explore the reef – including helicopter rides, snorkelling, scuba diving and just lying on a sunny beach fringing the coral wonderland – the Great Barrier Reef should definitely be on your travel bucket list. Still need convincing? Here are 19 amazing facts about the Great Barrier Reef, all of which are great reasons to plan a visit! The Reef attracts over two million visitors every year, making it Australia’s most popular tourist attraction. The Great Barrier Reef is composed of over 2,900 individual reefs and 900 islands, though only a handful of the islands are populated. The Reef is surprisingly easy to access: you can reach it from many different parts of Queensland. Tours and day trips run regularly from Cairns, Port Douglas, Townsville and Hamilton Island. The reef is so big that it can actually be seen from space! It’s the only naturally occurring structure visible from the moon. If you’re more of a sea-person, you can cruise your way to the reef; cruises run regularly from Brisbane and Sydney. You can take a short, 4-day tour to get a taste, or indulge your inner explorer and opt for a 10-day cruise. 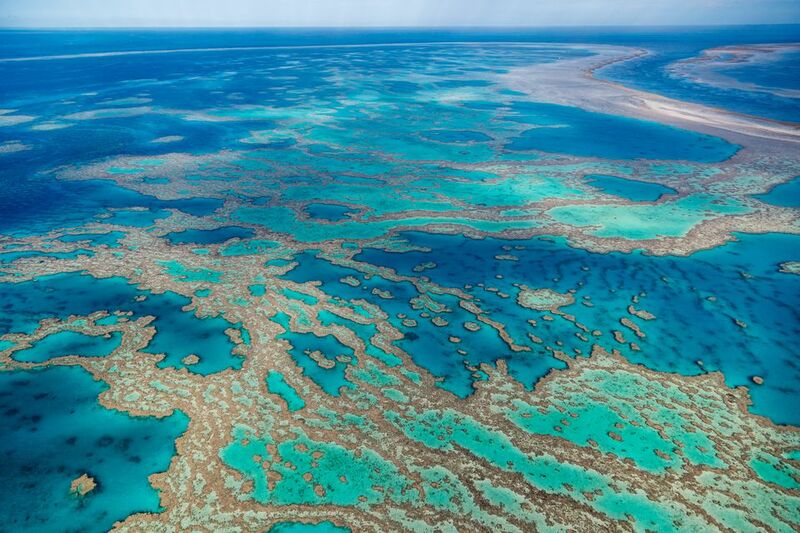 At 2300 kilometers – or 1,429 miles – in length, the Great Barrier Reef is the longest coral reef in the world. The second longest, Belize Reef off the Caribbean coast of Belize, is only 290 kilometers long. It is the largest living structure on the planet. Hamilton Island, the largest island in the Great Barrier Reef archipelago, is the only island to have a commercial airport, making it easily accessible by plane. Covering around 344,400 square kilometers, or 133,000 square miles, the Great Barrier Reef is larger than Italy. The Barrier Reef is one of the world’s most bustling ecosystems, with over 1,500 different types of fish. That’s around 10% of all known species of fish. The Reef is estimated to be around 18 million years old, although no one really knows its age for sure. Since 1985, environmental damage and pollution has seen more than half of the coral on the reef die. Since then, conservation efforts have helped to reduce damage to the reef. Though it may be tempting, it’s a criminal offense to remove any coral from the reef; a strict ‘Look, but don’t touch’ rule applies. The 2008 movie "Fool’s Gold," starring Kate Hudson and Matthew McConaughey, was filmed in part on the reef. Along with the Grand Canyon in the USA and Mount Everest in Nepal, the Great Barrier Reef has the prestigious honor of been named one of the seven natural wonders of the world. Rounding out the list are the Victoria Falls, a sudden-drop waterfall in southern Africa on the Zambezi River; the Paricutin volcano in Mexico; the Aurora natural lights in the Arctic and Antarctic regions; and Guanabara Bay in Rio de Janeiro. The Great Barrier Reef is found within the World Heritage-listed Great Barrier Reef Marine Park – the only underwater national park. The reef itself covers only around 7% of the Marine Park. As well as some of the most unique and beautiful marine animals on the planet, the Great Barrier Reef is also home to the Box Jellyfish, the Blue Ringed Octopus, and Stone Fish – some of the most poisonous marine animals that we know of. While indigenous Australian Aboriginals have been aware of the reef for some 40,000 years, the first European to notice the Great Barrier Reef was French explorer Louis de Bougainville, in 1768.